The FotSJR and its partners will be developing materials, such as brochures, presentations and fact sheets, to be used for increasing awareness about wetlands, the functions they serve and available programs and opportunities for landowners and local governments to protect and restore them. This workshop provided general information on wetlands, the Landscape Level Wetland Function Assessment (LLWFA) and how it can be used by local officials in planning and zoning. The workshop stressed the need for local wetland protection and restoration because wetlands are vital for clean water and there has been extensive loss of wetlands and their functions in southern Michigan and northern Indiana. Rob Zbiciak of the Michigan Department of Environmental Quality gave a presentation on wetlands at the 3rd Annual St. Joseph River Watershed Council Meeting in 2010. Issues covered included: the importance of wetlands, the extent of wetland loss and fragmentation, the need for prioritization, and the options/tools available for this effort. This information provided a strong foundation for the Wetland Partnership project. Click here to download a PDF copy of the presentation. 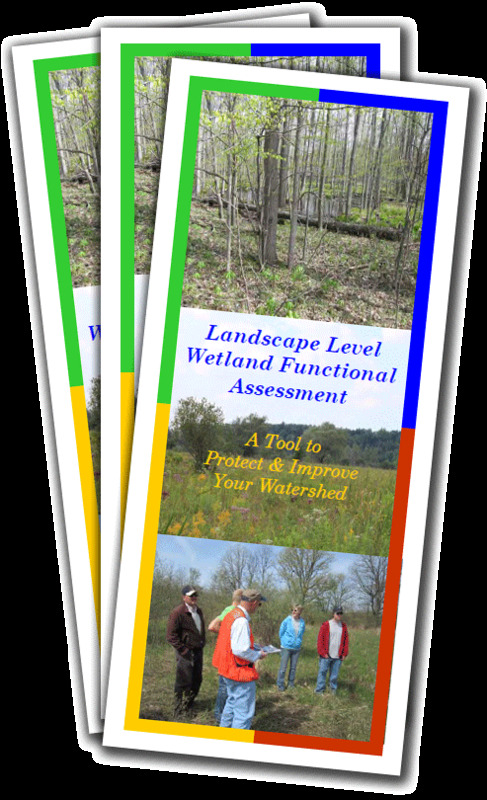 This brochure provides a brief overview of the Landscape Level Wetland Functional Assessment (LLWFA). As part of the Wetland Partnership project, a LLWFA will be completed for the entire St. Joseph River Watershed. The LLWFA is a tool for targeting wetland protection and restoration efforts in your watershed. The LLWFA includes an analysis of wetland trends and a database with important information about each wetland. Click here to download a LLWFA brochure created by the Van Buren Conservation District. This report documents the pilot study of the Landscape Level Wetland Functional Assessment (LLWFA) conducted by the Michigan Department of Environmental Quality in the Paw Paw River Watershed. The report describes how the assessment process was developed and the methods used to complete it. Also included are maps and tables documenting the loss of wetland functions and a description of how the LLWFA data might be used. Click here to download the full pilot study report.